Vancouver, British Columbia: Alliance Mining Corp. (TSX.V: ALM) (“Alliance” or the “Company”) is pleased to announce that its shareholders (the “Shareholders”) have approved all resolutions presented at its Annual General and Special Meeting (the “Meeting”) which was held at 2:00 pm on Friday, October 5, 2018.
ratifying and approving the adoption of a restricted stock unit plan (the “RSU Plan”) of the Company; and passing a special resolution to authorize and approve continuation of the Company into British Columbia, from the federal jurisdiction of the Canada Business Corporations Act (the “Continuation”). The RSU Plan was approved by the Board of Directors and passed by disinterested shareholders of the Company, as required by the TSX Venture Exchange. In combination, all share compensation arrangements of the Company, including the RSU Plan, will not exceed 10% of the issued and outstanding Class A common shares. The Board of Directors have determined to proceed with the Continuation forthwith. As part of the Continuation, the Company will adopt Notice of Articles and Articles, pursuant to the British Columbia Business Corporations Act. The new Articles include, among other things, provisions of the Company’s existing advance notice policy with respect to election of directors. The Articles will be available on SEDAR under the Company’s profile, upon completion of the Continuation. The Continuance will not affect the Company’s status as a listed reporting issuer on the TSX Venture Exchange. The RSU Plan and Continuation remain subject to the final acceptance by the TSX Venture Exchange. For more information regarding the Meeting including, a detailed description of the RSU Plan and the principal effects of the Continuation, please refer to the Company’s Management Information Circular dated September 5, 2018 filed under the Company’s profile on SEDAR on September 10, 2018. 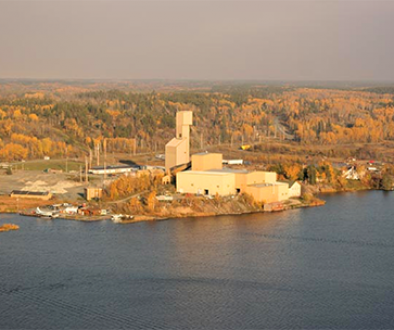 Alliance Mining has an option to acquire 100 per cent of the Red Rice Lake property located in the centre of the Bissett gold camp in Manitoba. The property is located close to the town of Bissett, Man., and just four kilometres south from Havilah Mining’s True North gold mine. The Red Rice Lake gold property claims are located within the Archean Rice Lake greenstone belt in southeastern Manitoba. This belt forms part of the Uchi subprovince that includes the Red Lake and Pickle Lake belts in Northwestern Ontario. Alliance has recently signed a letter of intent with Jadestone Energy LLC to acquire a 100-per-cent interest in Jadestone’s Tonopah uranium project. 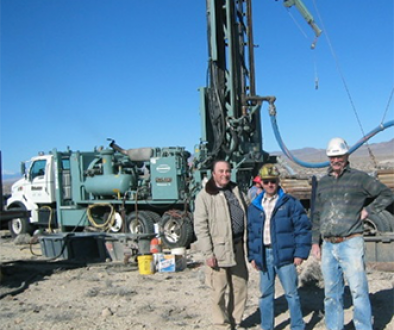 The Tonopah uranium project is located in the Tonopah mining district in Nye county and Esmerelda county, Nevada. based on reasonable assumptions, such statements are not guarantees of future performance and actual results or developments may differ materially from those in forward-looking statements. Factors that could cause actual results to differ materially from those in forward-looking statements include exploitation and exploration successes, continued availability of financing, and general economic, market or business conditions.